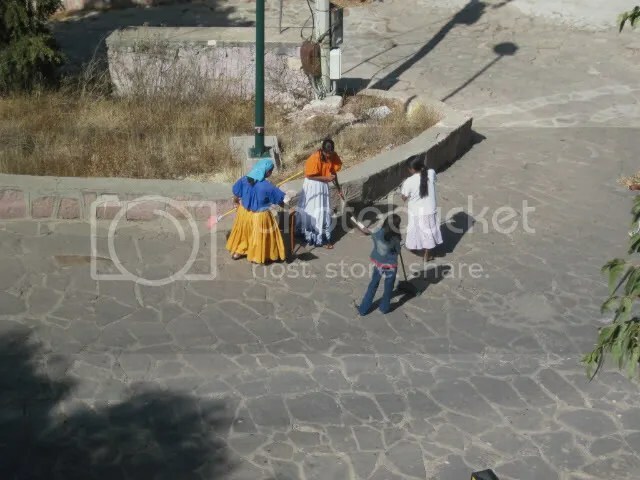 Posted on July 31, 2011, in Carry on Tuesday, cobblestones, dodoitsu, Japanese poetry, Mellow Yellow Monday, Mexico, my digital photos, my dodoitsu, Postcards from Paradise, Shadow Shot Sunday, Straight Out of the Camera Sunday, Zacatecas. Bookmark the permalink. 36 Comments. What a wonderful blog! (It’s my first time here). LOVE IT! How cool is that that these people are such caretakers of their environment? Nice point of view in this shot too. I love your beautiful image of daily life in Mexico…a true paradise! That is a great picture, and I love the poem accompanying. i have started so many early mornings in mexico in the company of the street sweepers. such a peaceful sound as if they are tenderly brushing the checks of those they love. i have started so many early mornings in mexico in the company of street sweepers. such a peaceful sound as if they are tenderly brushing the cheeks of those they love. I’ve always been impressed by scenes like this in Mexico. Wonderful photo. they have a never-ending task, these street sweepers. but it is more pleasant to hear them than the noisy, vehicular sweepers. love the look into the simple daily life. Beautiful colors they’re wearing. I love the people of Mexico. Good shot, from an interesting angle! warm colors to match the invigorating morning sunshine. Great shot of the great women who take good care of the environment. Thanks for the MYM visit. I love that you have devoted a post to the street sweepers. These are people who are normally not seen and unappreciated for what they do, yet their task is important. A very nice haiku as well. How the street sweepers are missed when they do not come and very few appreciate when thy are faithfully there.Good verse!! Fantastic shot! What a great color to wear when sweeping. Thanks for your visit. Thanks for dropping by my blog and taking the time to leave a comment! I am loving your blog and that photograph is amazing! I love this glimpse into another culture, and your poem which explains what I am seeing gently and lovingly. Absolutely beautiful! Love their bright colorful outfits. Drunk sleep lady sweep ^_^ Thanks for the visit! That is a nice aerial view shot! Hooray for them for keeping the place clean. Golden champagne Mangoes, hope you can come and see. Have a nice week. beautiful and colorful. I love that skirt…and I love the little poem. Very funny…to my twisted sense of humor. A nice picture that makes me, as a weiwer, curious. Are you kidding me? How cool is that? Great Pic ! I need some on the roadway to my home for litter . Nice capture. We have street sweepers in my hometown back in the Phils. Thank God for the cleaners. Singapore has anti littering laws, but it is the cleaners that keep her clean. The only times when a festival is clean is when my friends and I the Zero waste are out to educate people. We manage 97% rubbish free. Wonderful image of humble woman doing a simple chore.